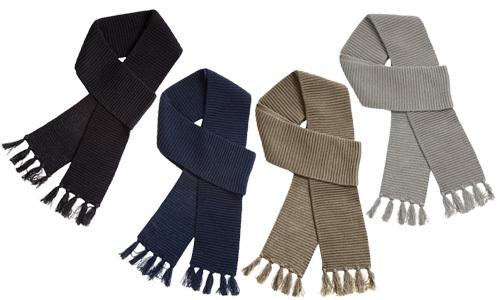 With extra length and slender styling, the Ruga Knit Scarf is ideal for every look and occasion. Or view this product’s marketing sheet here. Custom sublimated badges offer a large amount of freedom in decoration. It allows finer detail than embroidery and graduated colour. 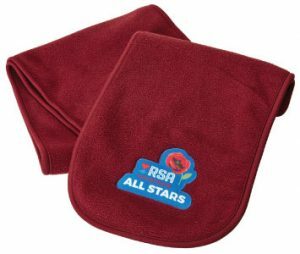 Any logo size up to 100 x 100mm. To view our other Outerwear, please click here. Prices include all decoration as specified and are + GST. A once off set up cost of $55.00 applies for each new embroidered design. No set up cost for orders of 50+ or repeat orders. Small order surcharge may apply if the embroidery order is less than 6 items. Embroidery pricing based on logo in one position, calculated on approx 7500 stitches (more optional). Multiple position embroidery is available, at an additional cost. Delivery if required, is extra and charged at cost. Larger quantities are available, please contact us for our best prices. Above prices assume artwork will be supplied in correct format.